The Health and Wellness Ministry of St. Christine Parish is devoted to raising awareness and promoting action on behalf of holistic life issues by providing a forum for discussion, communication and action. We strive to encourage individuals and the parish continue to be alert, sensitive and proactive regarding an understanding of the mind/body/spirit issues which enhance or interfere with the freedom to live, love, worship and serve in the Spirit of Jesus within a community. The Health and Wellness Ministry is a diverse group of parishioners who volunteer their time and talent to promote health and wellness within the parish and surrounding community. The Health and Wellness Ministry includes anyone who is called by God to a ministry of service rooted in Jesus Christ’s healing example. Membership is open to all parishioners and includes educators, young adults, care givers, and health care professionals. 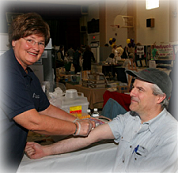 The Health & Wellness Fair is held every two years. Our Fair is an exhibit hall with informational booths and exhibits by a wide variety of community health resources and service organizations. 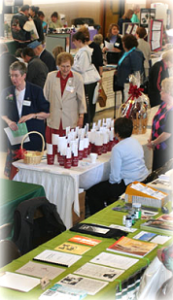 We offer health screenings and a variety of workshops: Yoga, Youth Fair, End of Life Issues, Nursing Homes, Medicare. Town hall panel and discussion on the wholeness of mind/body/spirit. Medicare, assisted living, financial trusts, living wills. Our programs and support groups reach out to those in need in the parish.